During the 2012-13 Rotary year the Rotary Club of Sydney will be supporting the University of Sydney’s Isin-Di’ak Fund. This new fund has been set up with the overall objective of improving health outcomes in Timor-Leste. The Governor of NSW, Prof Marie Bashir AC is the patron of the fund. One of the first major projects of the fund will be the elimination of lymphatic filariasis, a very nasty, mosquito transmitted, parasitic disease. This is the disease that causes elephantiasis – the gross swelling of limbs and other parts of the body. It is very debilitating but quite preventable! A five year program involving mass treatment of the population annually with two anti-parasitic drugs should eliminate the disease. This will also eliminate another nasty parasite – intestinal worms (e.g. 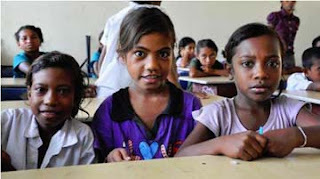 hookworms) which affect more than 60% of Timor-Leste children and cause anaemia and malnutrition. The key to the success of this program will be the training and education of the Timorese in the delivery of the drugs and the monitoring of the results. A base line study has recently been completed which has confirmed the extent and severity of these problems. Elimination of the diseases will make a substantial difference to the well being and quality of life for many Timorese. In Summary the aim is to treat at least 85% of the population every year for 5-6 years and children every 6 months. There are about 1.2 million people in Timor-Leste. Estimated cost is $900,000 per annum, of which $400,000 per annum is the cost of drugs which will be donated by Sanofi under a WHO program. The net cost is $500,000 or 50 cents per person per year.